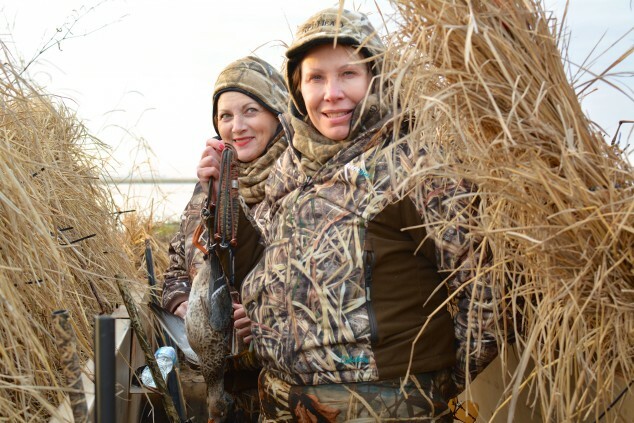 Follow along in this photo gallery, from Julie Golob, that features highlights of a trip she made to attend a women’s waterfowl hunt in southeast Missouri, along the Mississippi flyway, before Christmas. It’s called dirty rice and ducks and geese love it. 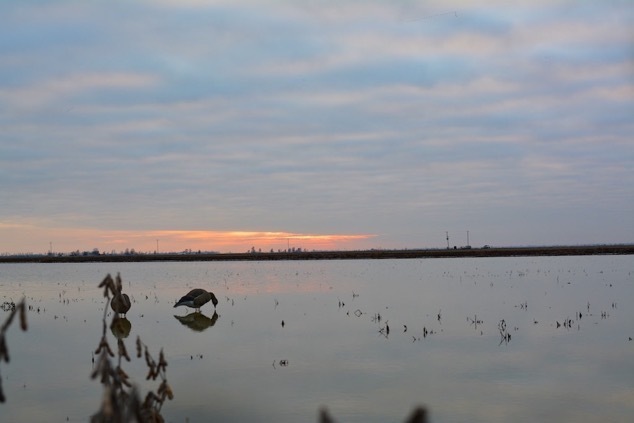 The Bootheel of Missouri is thick with flooded fields of the stuff and outfitters, such as Dirty Rice Outfitters (DRO), make the most of it. 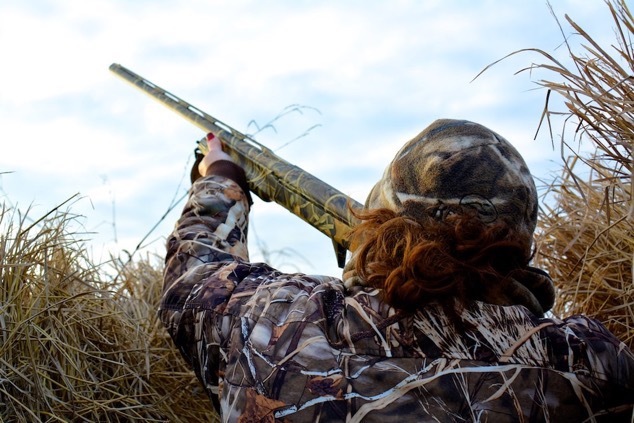 Waterfowl hunting is one of the most male-dominated of wild game pursuits. That didn’t stop 2 sets of friends from meeting up for a fun-filled ladies’ weekend in the blind though. Missouri State Representative Diane Franklin, Realtree news blogger and Women’s Outdoor News publisher Barbara Baird, the vivacious farmer Cheri Warner and I were up for the challenge. 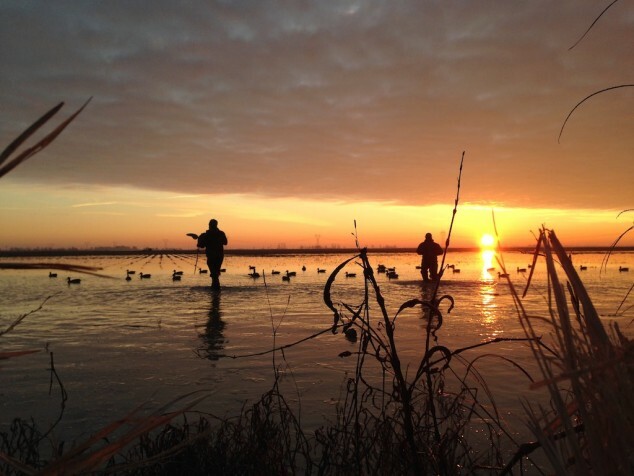 There’s no sleeping in for serious waterfowl hunters. After chugging down a quick cup of coffee and delicious breakfast burrito cooked up by DRO’s camp cook, Carina, we hit the blind well before dawn. 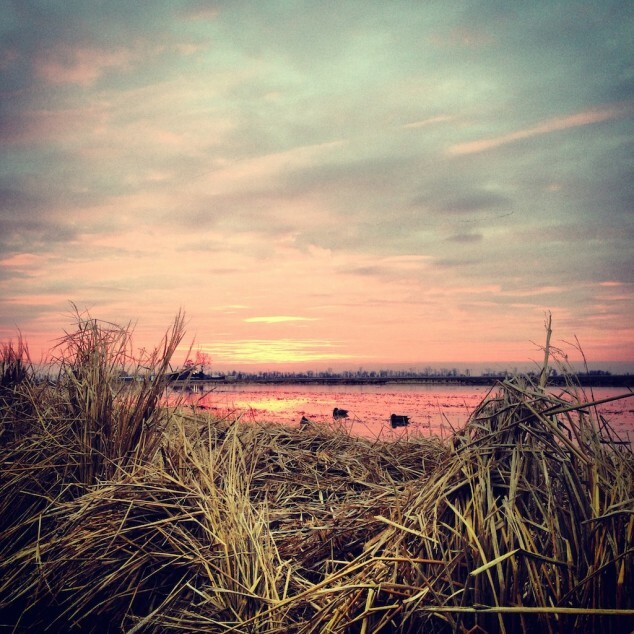 You haven’t truly watched a sunrise until you have seen one from a waterfowl pit. The first day, overcast skies and an educated duck and speckled goose population made for tough hunting conditions. Without migration of new birds into the area, the resident waterfowl were wary. 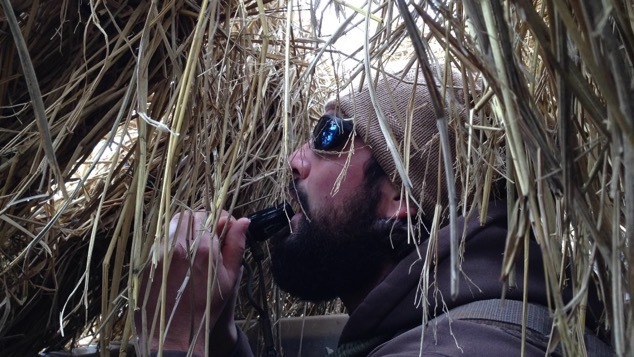 Our host, JD Driskill, worked his DRO speckled goose and mallard calls whenever birds were near, changing up pitch and style to entice them into action. When birds circled about, the mood was tense as we craned our necks to catch a glimpse through concealment, ready to take a shot. During the lulls it was much different. Laughter, story telling and chocolate made the hours fly by. 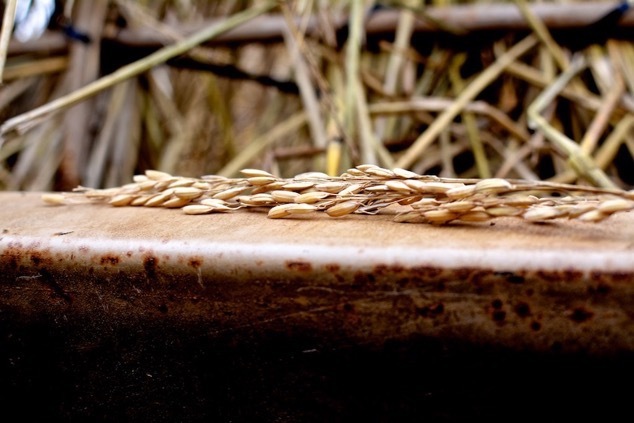 The thrill of busting out of the rice with my Benelli, shooting Federal Premium BlackCloud ammo, made me even more determined. 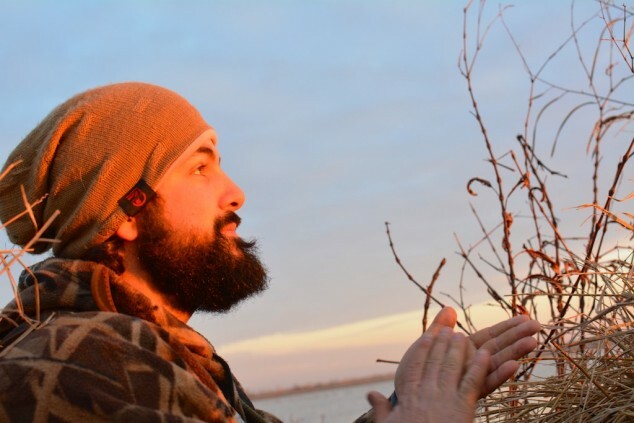 With every opportunity, we learned how ducks and geese study a spread of decoys, where they are likely to come in and their behavior when they commit to a landing. The day came to a peaceful close with another picturesque view and we looked forward to the next day, as the weather forecast called for better weather. With the sun breaking through the clouds the next morning, the ducks started moving in. After working the calls, JD and his brother, Colton, consulted with each other on the bird movement and then ventured out to make a quick change to the decoy spread. This photo might be my favorite image from the hunt – the brilliant sky a gorgeous backdrop for 2 brothers who share a passion for hunting. As we stood in the blind watching our guides do their work, I looked over at Barb. 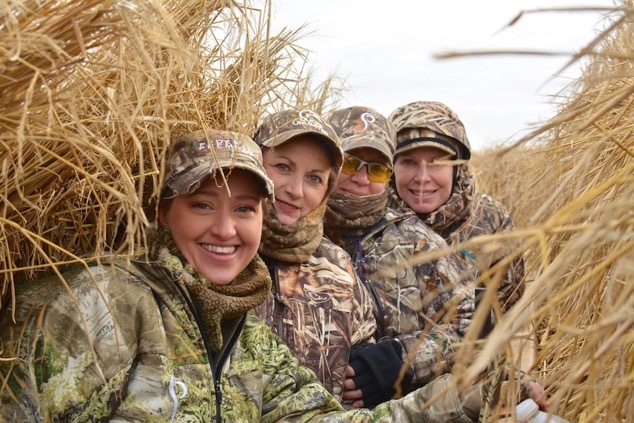 Ducks or not, sharing the beauty of the outdoors with remarkable women made this hunt truly special. JD and Colton sloshed their way back to the pit. 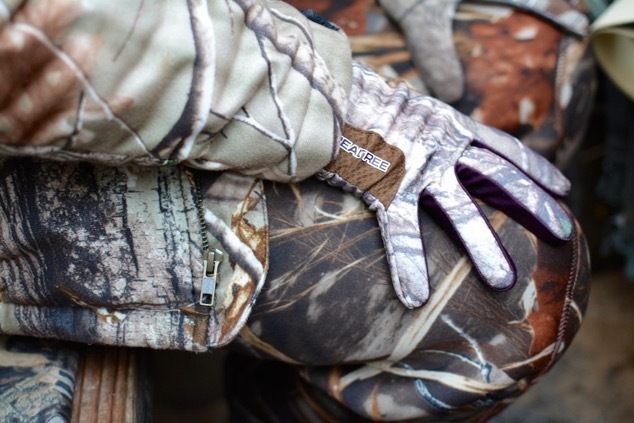 With sunlight, a bit of wind and decoys in place, JD clapped his hands together like a coach before the big game. He was determined to get us on some birds. Bird down! Diane poses with her first duck, a spoonbill, and Cheri’s smile says it all. When Diane returns to session at the capital this month, she will have this special hunt to share. I wonder if her fellow representatives can say the same. Diane and Cheri had to head home so that left Barb and me to a final afternoon adventure. JD offered that we change things up a bit and better our odds. We decided to go after some of the tens of thousands of snow geese in the area. 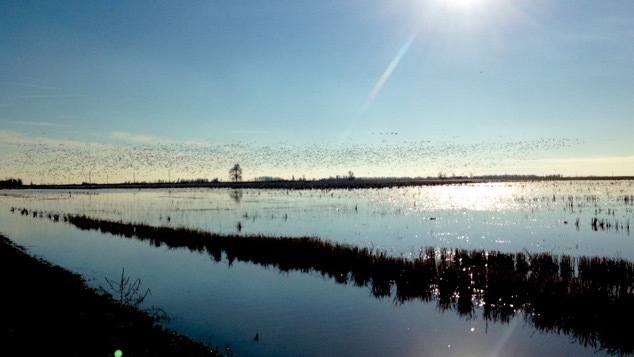 It’s estimated that there are a million snow geese in this county alone. 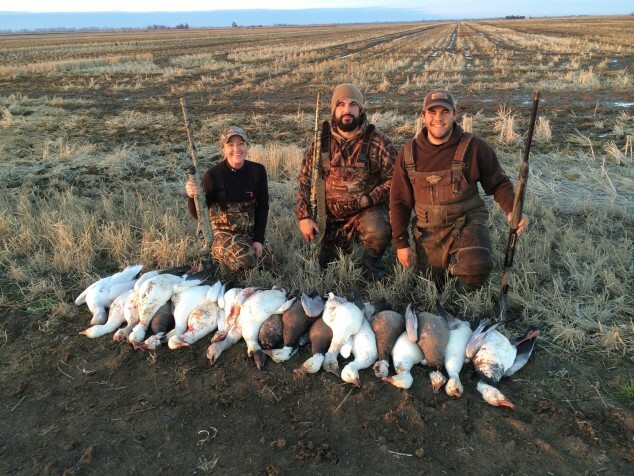 We hit the fields and put on a slow stalk on a group of about 50,000 snows and blues. The shots fired from my Super Vinci with Federal Premium Black Cloud produced incredible results. 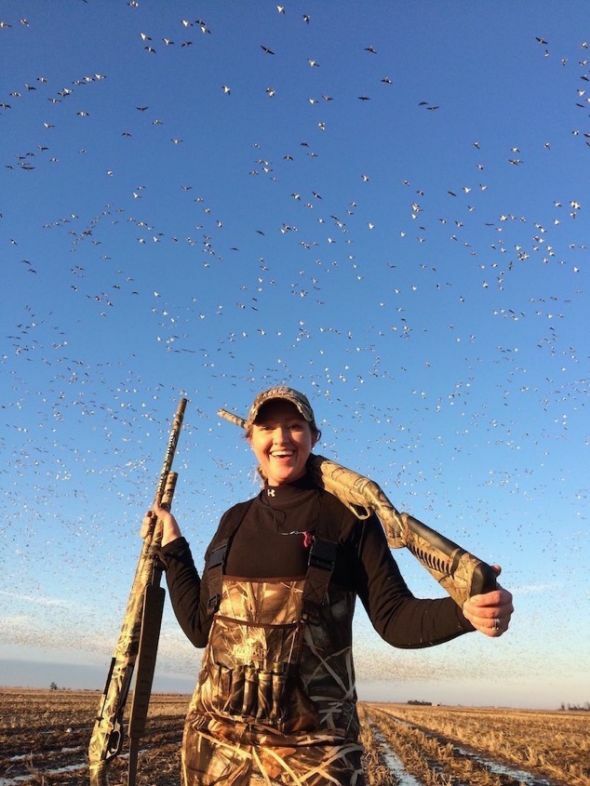 Barb snapped this photo of our snow geese success and my smile says it all. A huge thank you to Dirty Rice Outfitters, Diane, Barb and Cheri for the amazing experience, wonderful memories and fun girls weekend out hunting. This Retro WON ‘Women’s Waterfowl Hunt’ first appeared Feb. 2, 2015. 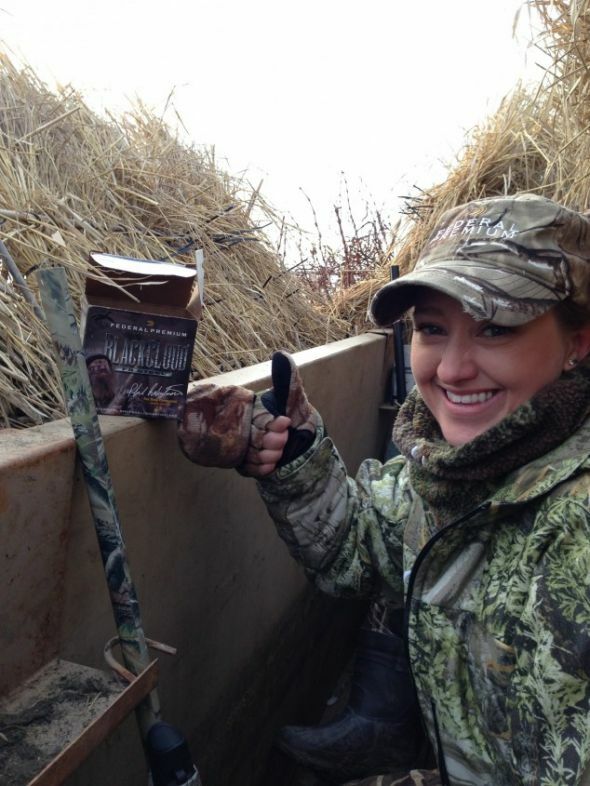 Watch a video that recaps this fun weekend for women waterfowls. Thank you, Julie Golob, for your extreme compliment to me in this photo gallery, and I am honored and frankly, humbled, to call a woman of your caliber my friend. 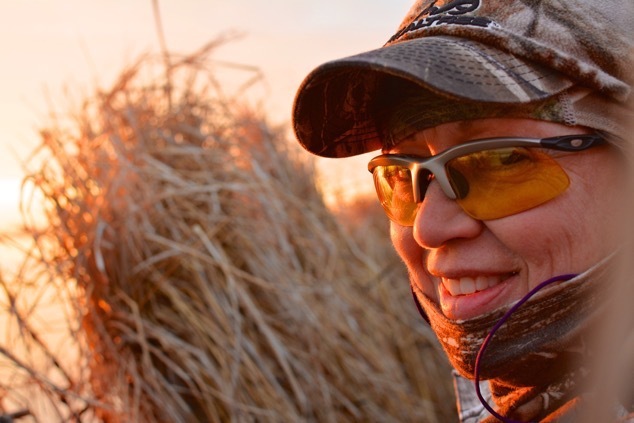 I believe that you learn a lot about a person when you spend time out hunting with her, and I learned that Julie G. has grit and character and a sense of humor that never fails her or anyone with her. Her positive outlook and energy are inspiring and I know that she touched many lives at the lodge that weekend, and brought a superstar shooting competitor to a small outfit in southeast Missouri, and made them feel special for being her host. That’s just how she is … for those of you who know her. What you see is what you get — a genuine champion, of shooting and of life.